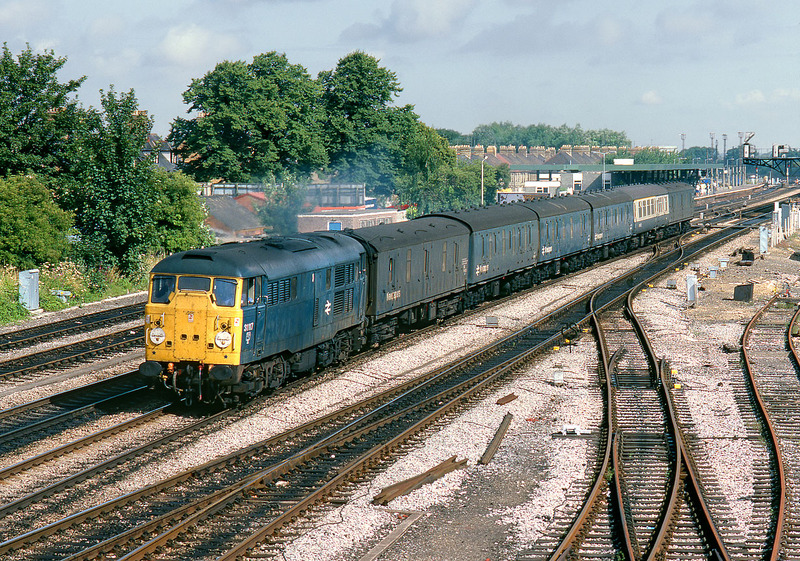 31117 pulls away from Oxford station on 1 August 1986 with the 3V19 09:35 Oxford to Old Oak Common empty newspaper vans. Note the slightly unusual inclusion of a Mk2 BFK coach near the rear of the train. I can't remember now why I didn't take this on my Pentax 6x7, so this 35mm Kodachrome 64 scan will have to suffice.